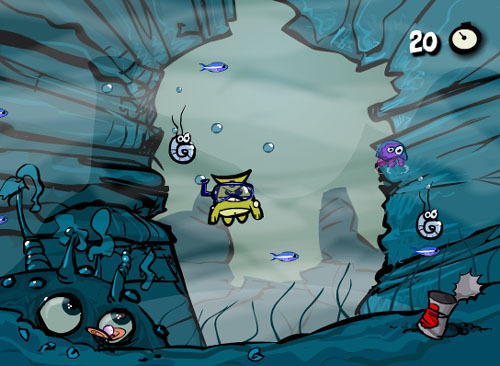 The squirrel goes scuba in this underwater fish hunt. Watch out for falling snails and the octopus. This one is a simple reload. No changes made to the actual gameplay, changed just graphics and main api, so the game is pausable, quittable and saveable scorable.